The distance- how close are you? I came across this new term while doing the research on offshore project management= Perceived Distance. A study by B. Aubert from his paper Information Technology and Distance-Induced Effort to Manage Offshore Activities talks about how “Perceived Distance” is considered the most imp influence when analyzing the effect of “distances” in the much hyped domain of IT Outsourcing. It is obviously the space that parties in business feel amongst themselves. It might or might not be related to the real geographical distance between them. It has also been proved that sometimes inspite of the distance (location); some parties have had relative notion of “perceived distance” mush lesser than what reality was. And it’s true. 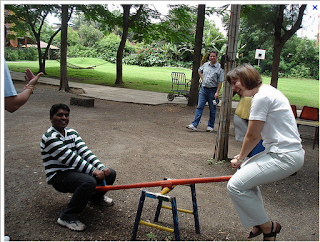 I had clients (in New York) whom I worked for from India and with the passing months the “perceived distance” decreased as the understanding and communication became much clearer. However the path to the decreased distance had some work put behind it. There’s a person behind the job title- with today’s technology it’s much easy to know about the other person. Social networking sites especially Linkedin will always give you a little background. Understanding the business- know your role in the business side of things. How what you are doing will affect the bottom-line is an important consideration. This increases the chance to a better conversation and the fact that both parties (onsite and offsite) are emotionally involved in the delivery. Are they right or left brained- Graphics or numbers? 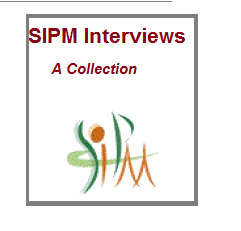 See what they like and present your reports accordingly. Why do they want from you?- Is there a gap and where is it? If you are aware of an issue and yet haven’t been able to pin point it- ask. Are they micro managers- Do they like to know your every move? If they do, send reports as often as you can or simply call them up and give updated. This is more of a trust issues and will gradually lessen as they understand you more. They are simply trying to keep a tab on the cost. What can you do to earn the trust-This is the most important of all. Learning what you can do to earn their trust can allow you to sleep better at night. Listen between the lines in meetings or read their emails carefully, you will find what you need. Provide the required, listen well, ask questions, don’t assume and you will be allright. By the way, I did meet my client finally in New York in a coffee shop 1.5 years later and we are still in touch, though I have changed jobs and she is not my client any longer. Actors- Should we imitate them? "Once in a while, you have to take a break and visit yourself." We should be like actors. We should have the liberty to choose our own projects. We should have the luxury to take the time off to grow and connect with ourselves and others. And we rarely have the time to do any of the above. We just grab the next best offer (or job) that comes our way and sometimes it clicks, sometimes it doesn’t. And that’s when the problem begins- the unfulfillment of putting in hours without the satisfaction that we expected. Of course, there’s the money involved. Our role in our job should align to our goal that we have set for ourselves. If you are a project management professional living under years of pressure and worries, when was the last time you connected to yourself? So, why disconnect from what we do- what we chose to do and what we love doing? If all the happiness was derived from the job, then why do so many professionals start their own consulting firms, their blogs that grow into business, the books, the papers? We as individuals have so much to offer, the desire to be challenged and the satisfaction of getting it done and influencing people. Why do we have the need to feel important with awards, more traffic to the website, displaying the subscriber list, hosting webinars, giving up full time jobs to follow the dream? What are really looking for? Or is it just bad talent management? It’s all about being more “you” and keeping it intact, it's about creating self identity that is not solely dictated by the organization we work for. To keep on creating and progressing with or inner self, we use different strategies- we take sabbaticals, quit jobs, work on a side project, start a business and look for business partners. By the way, did you know Harvard University first developed a sabbatical program in 1880 and if you are planning your own sabbatical here’s something to look at. Most people during their sabbatical find out more about themselves , add new skills or simply bond with loved ones because having a real career and keeping it up is a tough job and sometimes a break is a breather to focus back on what you want to do, to re-evaluate your priorities and get going. Believing in yourself is also directly related to your bank account according to a University of Florida study and there’s nothing wrong in looking for a dream job. So, instead of opting for the next job, maybe we should have the option to choose our next project- to work in a domain we have been thinking or find and work with an expert and learn something worthwhile along with making money. Why can’t we be like actors and choose our projects, complete one and move on to the next? Why linger on with jobs instead of being on the faster track of learning better? Why get stuck with the team that we are thrown into and not have the liberty to choose the team we want to work with? Why should the actors have all the luck? Motivation and manipulating office scenarios are as important as your project management skills. 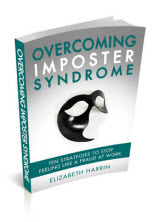 Getting my hands on Overcoming Imposter Syndrome made me realise how important is it and how most of us (if not all) have encountered it at some point in my life. This 84 page e-book has been a soul revealing experience. To know that you are not alone and it’s a psychological trait that most people go through is comforting. It’s packed with information and is extremely well researched. It’s the act of not being able to measure up to yourself and the feeling of being a fraud. The 5 symptoms of Imposter Syndrome are explained in the initial chapters. She also provides with a checklist test that identifies whether you have suffered from Imposter Syndrome and I guess it’s rather tough to not fall in the group. I especially liked Geoff Cranes story and it’s so true on what we do in reality. How every single good work we do, is always because of some other reason. Section 1 is all about the Imposter Syndrome- what and how. Section 2 is all about overcoming the syndrome and the author gives 10 ways to get it done. If you feel you earn more than you deserve- oh yeah, have you ever felt that? You get more than you are worth, that someday someone will figure out you are not worth your salary. If you always have someone else to thank for your success- If you think if you are not responsible for your success. If you can’t take compliments and are embarrassed hearing about it because you know you are really not worth it. If you are always unsure about yourself and your capability- When everyone is better than you, you feel inferior and incompetent. So, you know you are not alone and of you identify your problem. Plus you get tons of information here, which will allow you to successfully overcome it. That it happens to a lot of people and its not a disease, just work on it! 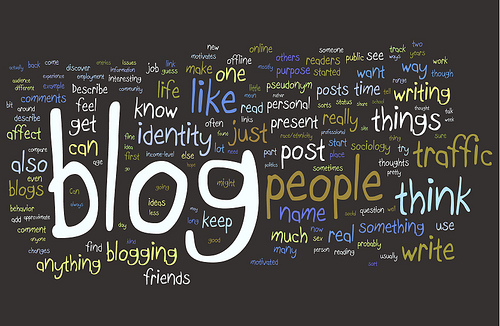 Blogging has become such mainstream these days, it’s difficult to know which one to read? To top it, every blog has a blogroll that they include mentioning their favourite blogs. So, how do you know if their choice is aligned to yours? 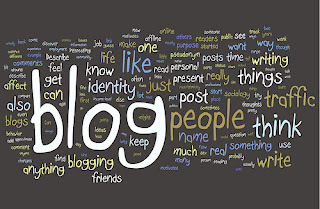 ·What are you looking for- Why are you planning to read blogs? What purpose do you hope it will service. Once you have that nailed, the rest is really easy, go through them all and bookmark the ones that seems work for you. You can always narrow it down further. ·Which country are you from- Typically with so much communication going on these days, things are global. So, why does your location matter? 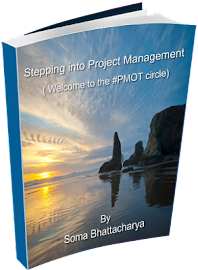 Well, you see project management in US is very different from project management in India, so location matters. While zeroing down the final blog list, keep a mix of local as well as global if you can. 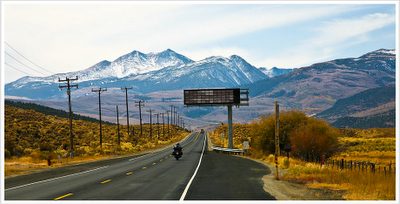 ·Your goal- what is your goal? What do you see yourself as? The best option is to follow blogs of people who have your dream job. It’s a great career investment to spend time reading on what impediments you are likely to face or what your skill set should be. ·What you like- At the end of the day, you have to like what you read. 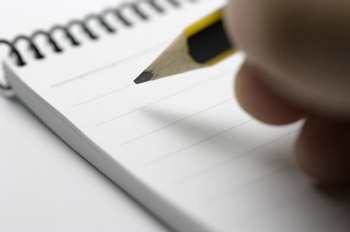 Some blogs have great information but the style of writing doesn’t click with you. So, make sure you really like what you read. More you like it, more you’ll read. 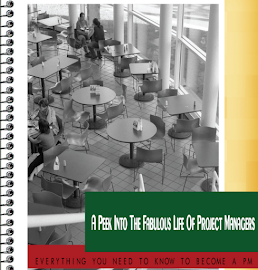 The Project Manager- Does your location matter? Anything you can do, I can do it better and cheaper. The goal has been to save 30 percent of the salary cost. Hence outsourced. Forrester says jobs moving off US shores will rise to 472, 632 by 2012. However, they key work never travels and most authors say it has to do with the quality of resources. Like understanding business as a whole can be the requirement of jobs in US , however when it comes to the offshore crew- it’s all about maintaining the hierarchy, not questioning your boss because he is always right (I think women encourage more questions than men), keeping your head down and just get your piece of work done, you can talk about ideas but they are rarely taken action upon unless of course the same idea comes from onsite- then it’s considered brilliant. For example most IT companies (especially the big names) in India, screen potential candidates based on their grades (a certain percentage to qualify) and even the slightest of gap in your resume is considered grave enough reason to take the candidate off the potential job interview. So, No you can’t absolutely take the time to travel the world, can’t start your own business (a big NO in resumes), and cannot freelance because which means you are not putting your entire self to work. You should not be a risk taker, an entrepreneurial spirit or question decisions – everything that is encouraged in the States. And yet, you are expected to work for clients and gel well with them, when clearly the work culture and mode of hiring is way different than their offshore counterparts. I know there are lots of project managers in US, who don’t want to hire offshore resources just because of the culture difference - it’s not about baseball scores, it’s a bigger issue of not having a real conversation. the inability to communicate and the fact that risks are not communicated. No wants to be the bearer of bad news for the fear of the local management. So, the option is always cover up and save your job. The offshore industry is drilled with its inherent culture from day one so strongly that is becomes more natural with time. You stop seeing it as a weird trait really. If you want to keep your job, you learn to shed your individualism. So, more than often you will have employees complaining of long hours, boring jobs and rarely a scope to learn more. Most of them trying to look for better opportunities go for an MBA, Masters in US or move with jobsto US and never come back. The same resource then happily becomes individuals- the person they are and strong contributors to their teams (where they are heard). I have spent hours over it, read researches done on offshore teams (still doing it) and have always wondered why is that the all project management jobs in India comes with a backlog of list of languages you have to know (more the merrier), more than 10 years of experience and in most cases is aligned for resources who have climbed the ladder from being a junior developer to a project manager over the years. In the hiring process I think lays the answer; it’s all about being billable. One person perhaps has to do the work for more than one resource and having multiple skills is a simple way to keep the cost down. Plus, the skilled strategist or the thinker is employed onsite and the offshore office team is created really to get the work done. If the price wasn’t cheap enough, jobs wouldn’t come as well, right? Unless, the industry is a game changer and thinker in its own way. So, there’s a huge difference in being a project manager based on where you are.....a project manager in US is way different from the project manager in India- agree? So, how should you train? How will you know the skills you need to acquire? So, while you think on this and comment here (would love to hear from you)or on twitter , here's a special discount offered when you take a Prince 2 course here. All you have to do is use the code for a 10% discount "steppingintopmgift"